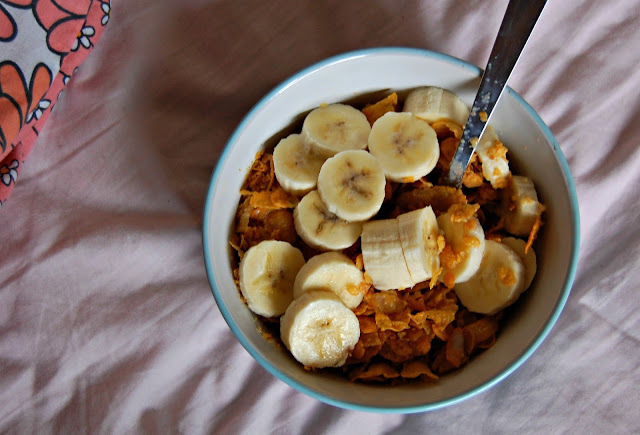 After already being up for a few hours, for breakfast I had tesco value cornflakes with unsweetened soya milk and a sliced up super ripe banana and it was great. I don't really have much to say about this since it's not that exciting or different but it is probably the cheapest breakfast I have as a student. Now, I'm not going to lie to you my lunch was donut based... 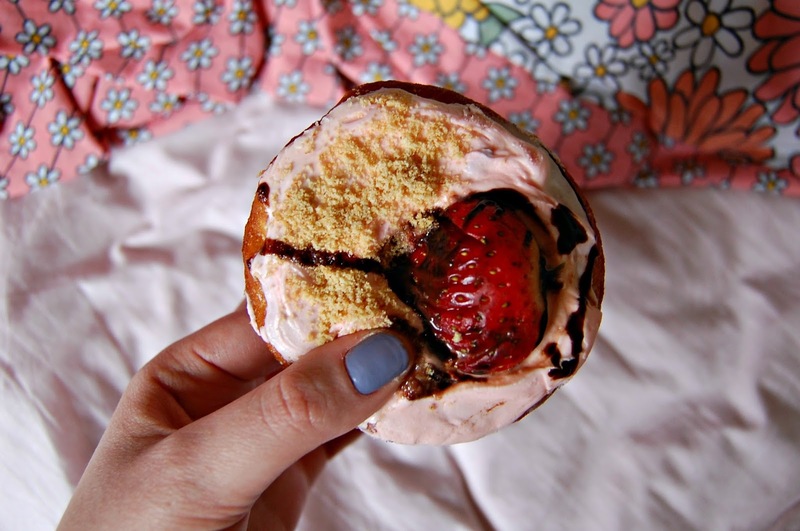 The Natural Food Company in Nottingham is only a 5 minute walk from where I live so I have been avoiding going there for a long while so as not to get hooked on vegan treats but I couldn't not go and buy a strawberry cheesecake donut for myself and a few others to share when I saw them tweet a photo and honestly I think it was the best thing I've possibly ever eaten. 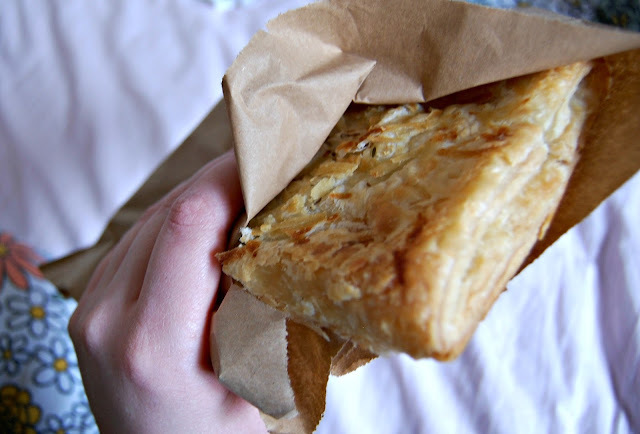 Whilst I was there I also decided to get something actually lunchy so I got a cheezly and potato pasty which I half warmed up and that was nice, nothing compared to the donut though... oh lordy. 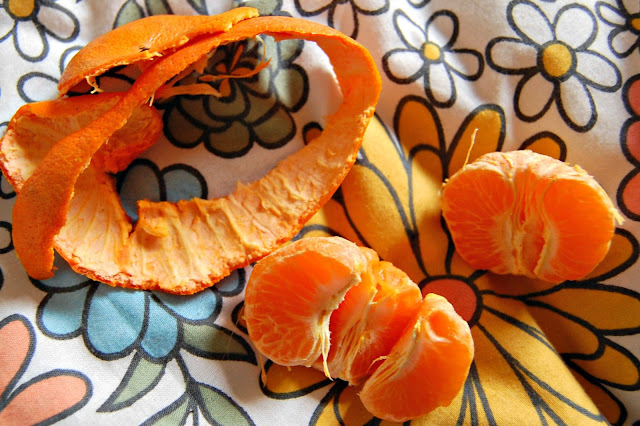 You'd think that the amount I snack on oranges would be an indicator that I like them and I do a bit but I faff about with them far too much, I spend longer peeling off every single bit of the pith that I possibly can than I do actually eating them. Regardless they're cheap and they're fruit and I had at least one as an afternoon snack. 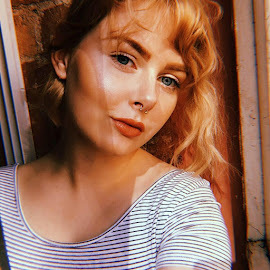 I then went and got a starbucks with a friend, I had an iced soy latte which was great because I adore coffee and it is even better when I'm not the one making it! When I got home a made a Lebanese inspired garlic tomato sauce with green beans and pasta and it was rather amazing tasting but pretty ugly looking so I didn't take a photo but I plan on perfecting the recipe and maybe posting that on my blog separately at some point soon. This certainly isn't the best what I ate in a day post that I've done but I hope you enjoyed it.